Excellence Always - Every interaction, every communication, and every piece of work we do for our clients has one thing in common – Excellence. Good enough is never good enough for our clients, our staff or our community. We Hire Only The Best – It is our Attorneys, Paralegals and Staff that makes us stand out, and only the best and brightest make the cut. If you have what it takes, we certainly want to hear from you. This is not your average job, nor is this your average office. What we do makes a difference in the lives or our clients, and we never forget that important fact. 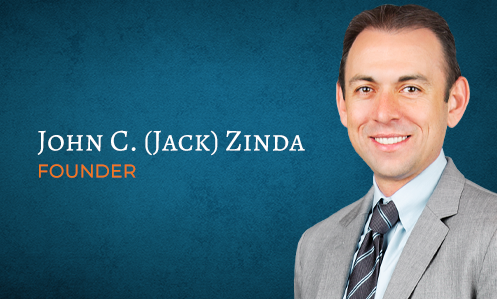 Everyone who works at Zinda Law Group is driven to excellence so that we can provide an outstanding experience for our clients. It is our goal to make a positive impact on the lives of our clients, who are often going through a very difficult time. The success of our employees is rooted in excellent training, ongoing mentorship, continuous feedback and a deep support system. There is always the opportunity for expansion, promotion, and career advancement. We pride ourselves on the success we have had promoting from within, as well as providing a foundation for professional growth.